Our inclusions demonstrate our commitment to quality. We engage local trades and suppliers to ensure our quality assurance long after hand-over. Our standard inclusions are what other companies consider ‘Luxury Upgrades’. 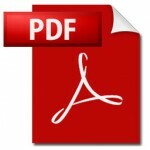 Click on PDF to download CBS Inclusions. • Construction plans, council fees, site clean. • 6 yr structural/12 mth maintenance warranty. • Plumbing, electrical, phone and site connections. • Engineered 90x35mm treated pine frames and trusses. • Raft slab or raised with termite protection. • LVL bearers and joists with steel posts (for raised homes). • Colorbond corrugated roofing, gutters, 90mm PVC downpipes. • Builder’s range of selected cladding incl brick, weatherboards, FC sheeting, rendered concrete panels. • Aluminium windows and sliding glass doors, with tinted/grey glass, locks and insect screens. • 10mm plasterboard, 6mm villaboard to wet areas. • Cove cornice/Bullnose or Colonial skirting and architraves. • Painted MDF shelves to all linen cupboards, hanging rails to all robes. • Timber Entry doors, flush panel internal doors. • Vinyl sliding doors to robes. • Panel-lift garage door with remotes. • Sisalation and batts to all external walls. • Ceiling batts to internal ceilings. • 60mm foil-backed blanket to roof. • Double power points to living areas and bedrooms and kitchen appliances as required. • 1 external double power point. • Downlights throughout, spotlights and pencil lights. • Stainless steel fans to bedrooms, living, outdoor area. • 2x TV points and NBN connection point. • Smoke alarms as required. • 250ltr electric or gas hot water system. • 3 coats to interior (single colour), 2 coats to exterior. • Quality rendering with protective seal. • Veranda and outdoor area ceilings lined and insulated. • Hardwood decking, posts and handrails (for raised homes). • Hardwood steps with steel stringers (for raised homes). • Vinyl ‘timber’ planks – PCA $60/sqm laid. • Carpeting – PCA $45/sqm laid. • Tiles – PCA $40/sqm (non-rectified). • Tiled floors to bathrooms and toilet. • Shower tiled to screen height. Vanities tiled to mirror height. • Tiling to 900mm behind behind toilet. • Tiling to 600mm high splashback in laundry and kitchen. • Drop-in bath fully tiled with 600mm splashback. • Power pole with additional power. • Bulter’s Pantry sink mixer with pull-out pot hose. • Hume ‘Accent’ internal doors. • Mirrored robe sliding doors. • Floor-to-ceiling tiling to bathrooms and ensuite. • Custom-made Entry door with pull handle and mortice lock. • 40mm stone benchtops with gloss or matt cabinetry and overhead cupboards to ceiling, enclosed fridge space with overhead cupboard. • Technika 900mm dual-fuel freestanding oven (TU950TLE8) or Technika 900 gas cooktop (H950STXFPRO). • Technika 600mm u/bench or wall oven (TO66PSS-5). • Technika concealed or canopy rangehood (TUR90S / Chem52C9S-2). 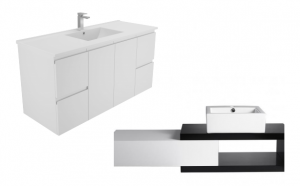 • 1 ¾ Posh Solus sink with Mizu Bloc sink mixer (9502233 / 9503680). • Dolce Vita Fienza or Manu wall hung vanity with finger pulls. • Frameless mirror to bathroom and ensuite. • Walk-in shower or Bradnams Signature range shower screen, with tiled niches and grate. 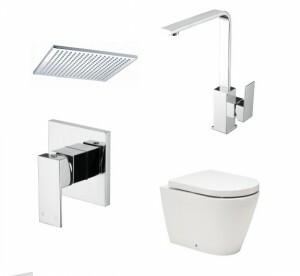 • Mizu Bloc mixers, tap ware and ceiling-mount rainhead showerhead, waterfall bath spout. • Full length niche and grate. • Kado Lux toilet with optional concealed cistern. 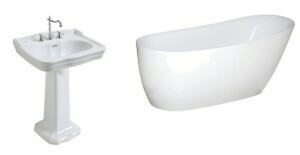 • Mizu Bloc 1690 drop-in bath, boxed in (9504274). • Mizu Block range towel rail, toilet roll holder. • Bathroom exhaust heat/light/fan unit. • Technika Heritage style 900mm dual-fuel freestanding oven (TEG95HUA). • Technika canopy rangehood (TUR90S / Chem52C9S-2). • 1 ¾ Posh Solus sink with Kado Classic sink mixer (9502233 / 9507625). • McKinley Heritage pedestal vanity. 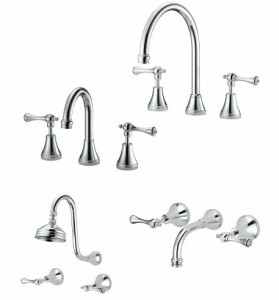 • Kado Classic lever tapware (chrome) and shower head. • Victoria or Kado Lux toilet with concealed cistern. • Kado Arc freestanding bath (9502399). • Mizu Drift range towel rail, toilet roll holder. • Stainless steel laundry tub.